I was born in Medellin, Colombia. My birth mother is a maid there, but I do not have any information on my birth father. Immediately after my birth I was sent to live in an orphanage in Medellin and was cared for by nuns. When I was fourteen months old I was adopted by a young couple from Grand Rapids, Michigan. My adoption was finalized in Colombia on October 17, 1983 and a few days later I left for the United States with my new parents. I was met at the airport by my new, extended family which is quite large. This is a letter I wrote to my birth mother although she may never read it. It explains the depth of gratitude I feel towards her and the love I have experienced in my life since being adopted. My adoptive parents are amazing people who have raised me in the Light of Christ. I am beyond blessed with this life I have been given. 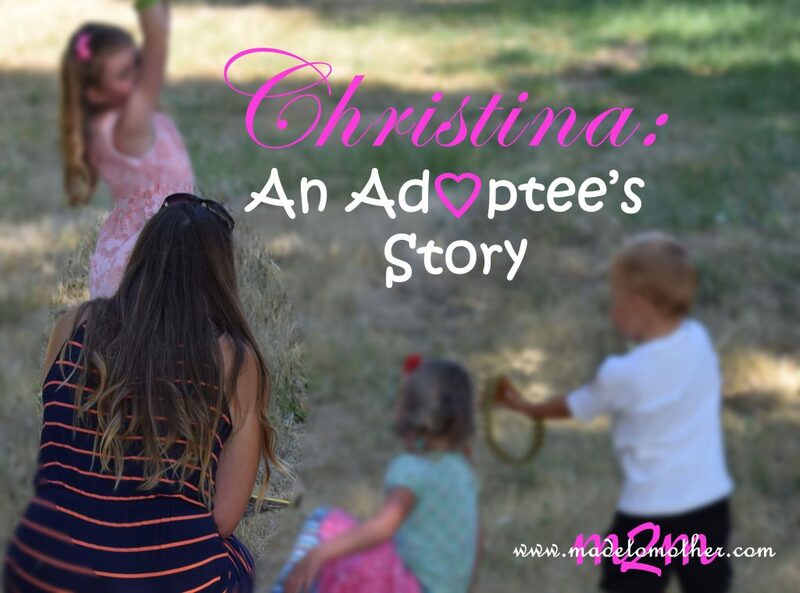 Christina is a single mom of three wonderful children. Being a mother is the most challenging yet rewarding job there is for her and she wouldn’t change one thing about being a mommy. This is so beautiful. For some reason people think adopted children won’t have a great life. It’s always so sweet and encouraging to hear when they do!